Vision is stimulated by light. Our visual sense provides us with details about what we see and helps us to define boundaries as our brain processes color, contrast, shape and movement. Individuals with sensory deficits often have problems organizing vision. They may not be able to use both eyes at the same time leading to learning difficulties. The inability to comprehend what they are seeing can cause problems with eye/hand coordination, visual perception, and spatial awareness. The Snoezelen MSE can be used to encourage awareness to light, tracking and other visual skills. The right level of visual input and experience can set the tone for stimulation or relaxation. 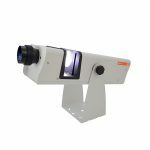 Solar Projector: is used to stimulate the visual sense as the brightness and movement create high contrast that can elicit response from the client. Any effect wheels that display recognizable objects/experiences can be used for reminiscence therapy, memory and learning games, storytelling, reinforcing shapes, colors, numbers, conversation starters or just for fun. The vast choice of effect wheels and accessories that can be added to your Solar Projector help to create an environment that can be stimulating or calming. Projection can be directed onto any wall, ceiling or floor in your Snoezelen MSE to meet your client’s needs. 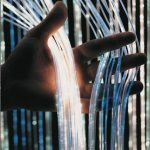 Fiber Optics: light sprays and curtains can be used for mood elevation or relaxation techniques. As your clients view the sparkling light strands and enjoy the sensation as the colors softly and slowly change, an increase in focus and engagement is encouraged. Fiber optics provides opportunity for color recognition and colors can be controlled by the client using one of the compatible Wi-fi controllers. Other fiber optic products include carpets, neon light sprays and wall panels. 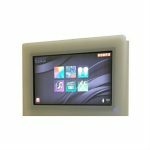 Sensory Magic™: offers amazing wireless touch screen technology with projection empowering the user to control light, color, images, video and sounds to their preference, to calm or stimulate their senses. Through their visual sense they can transport themselves into an immersive sensory experience, whether to the heart of the jungle, the depths of the ocean or the far reaches of space. 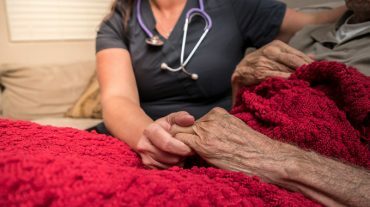 With the more than 80 integrated “themes” developed by a team of therapists you can help support learning and therapy goals, stimulate reminiscence, relaxation and more based on your client’s needs. And, the system allows you to easily upload your own pictures, video and music to create truly personalized themes. 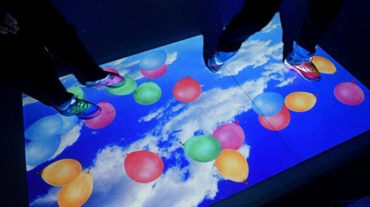 Sensory magic is controllable with the many wireless controllers that are available. 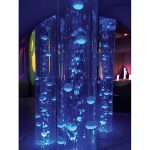 Sensory Magic is also compatible with the many other Snoezelen products such as bubble tubes, interactive wall panels, fiber optics, spotlights, wall-washers all adding to the visual sensory experience. Bubble Tubes: are an essential Snoezelen MSE component. They provide feedback and stimulate the visual system, facilitating your clients’ ability to track bubbles and objects such as colorful fish or balls. The constant effects of color change are also effective to promote color recognition and visual perception. Further, gazing at the tube may enhance your client’s level of relaxation. It may help them to gain focus and to engage in conversation. Controlling and changing colors with an interactive controller enhances eye/hand coordination, cause and effect and empowers the individual. 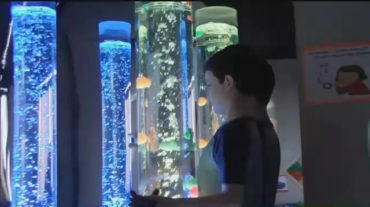 Bubble tubes come in many sizes and are also available in a waterless rainbow tube. Mounting mirrors on the walls behind the bubble tube expand and heighten the visual experience creating an illusion of several more tubes in the room. Infinity and Beyond Panel: draws the participant into a lighted tunnel of infinite depth. The mesmerizing pattern and color changes as the LED lights rotate around the screen provides invaluable opportunity for teaching, stimulating, motivating and as a leisure tool for all abilities and ages. The 49 different visual light effects to choose from can be adjusted to meet each client’s needs and preference. This wall panel is a good tool for tracking, hand/eye coordination and anticipation. The large accessible buttons on the front of the panel provides control for the user. A suitable ability switch can also be connected easily on the front of the panel to offer control and empower any individual regardless of their level of ability. The panel comes with a one button switch. Sounds are also created with one of the touch controlled buttons on the front of the Infinity and Beyond panel. The panel can be used with the many compatible Wi-Fi Snoezelen products that are available.